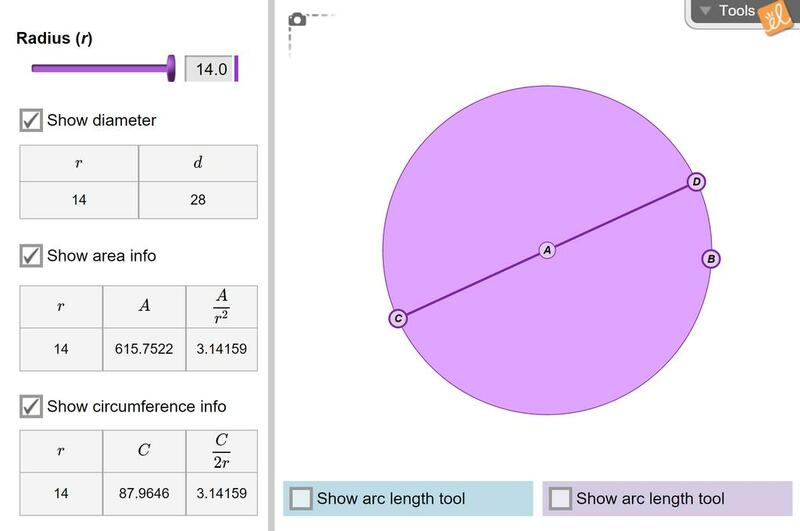 Resize a circle and compare its radius, circumference, and area. State of Florida - MAFS Florida Standards Assessment - Gizmo Resource for Grade 7. Contains sample questi... (more)on stems, various response mechanism types, and Gizmo suggestions for teacher and student use. A worksheet taken from the exploration guide for student use. Here is the worksheet with spaces for the students to answer the questions. I just made worksheet from the exporation guide.